The general concept is that you can access any sound you like electric piano, guitar, strings, voices - from your piano keyboard. 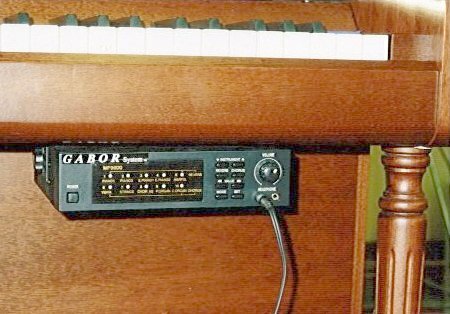 There is no limitation to the type of sound source you use, it could be a synthesiser, an organ, keyboard or one of the many expanders available today ( or even all of the above in a chain ). You have the option of playing those external or internal sounds alone, or as a duet - acoustic piano and electronic strings for example. A second use for the system is for composing. Using a computer running a sequencing or score notating program you can input the notes directly from your piano saving yourself reams of manuscript paper and a lot of pencil lead, not to mention time!